PAOV — Quebec’s newly-elected Premier, François Legault, plans to ban public service employees from wearing religious symbols in the workplace. Those who refuse to comply, will be transferred to another position — or fired. These petition starters believe that a ban on religious symbols is a threat to the fundamental rights of thousands of Canadians, with disproportionate effects on Muslim women. If you believe that faith-based discrimination has no place in Canadian society, add your name. Petitioning François Legault, Coalition Avenir Québec (CAQ) . @francoislegault: Respect the fundamental rights of all Quebecers. Sign now with a click Barely elected, Francois Legault’s government is already threatening the fundamental rights of thousands of Quebecers who want nothing more than to contribute to their society. His government has publicly stated that its first act as the newly formed government of Quebec will be to ban religious symbols for teachers, police officers, and judges. Those who do not comply would be transitioned to desk jobs or fired. We find it unconscionable that Francois Legault and the CAQ would use their newly-won power to bully and intimidate marginalized communities, threatening their livelihoods. A neutral state does not favour or disfavour any religion, nor any person based on their belief or absence thereof. The Coalition Avenir Quebec’s (CAQ) intentions betray the very principles it claims to defend. 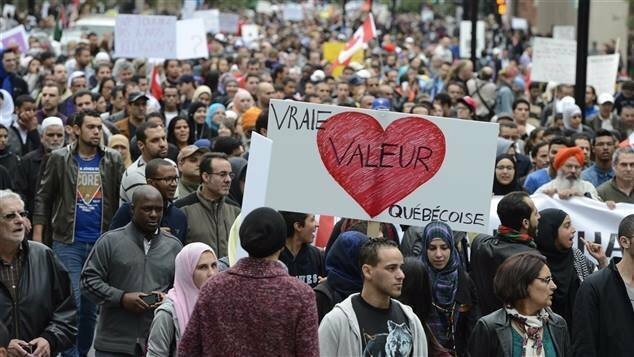 We demand that Francois Legault and the CAQ rescind their plans to institute a bill restricting Quebecers of various faith communities from occupying positions of authority. We will not gain anything from legalizing faith-based discrimination. We must instead continue to work together towards addressing injustices and building real equity for all people, regardless of their identities or appearance. We demand that the Quebec Government renounce division, discrimination and the exclusion of competent people from our public services. We call on our government to address the real issues and critical challenges facing our society.